The largest professional civilian team performing on jets. 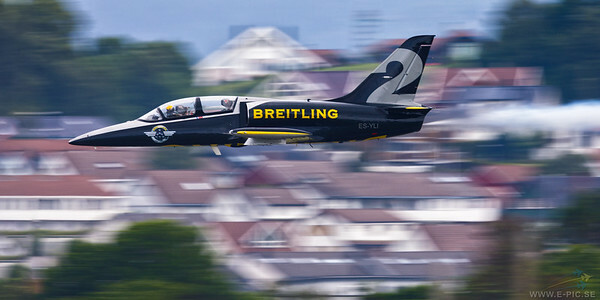 The Breitling Jet Team is made up of seven L-39C Albatros aircraft, Czech-made twin-seater military training jets that can also be used for passenger flights. To date, more than 2,800 L-39s have served with over 30 air forces around the world. The Albatros is the most widely used jet trainer in the world; in addition to performing basic and advanced pilot training, it has also flown combat missions in a light-attack role. The design never received a NATO reporting name.